MILWAUKEE – (September 25, 2018) – Johnson Controls announces S19, the next generation of its Smartvue intelligent cloud video surveillance platform. 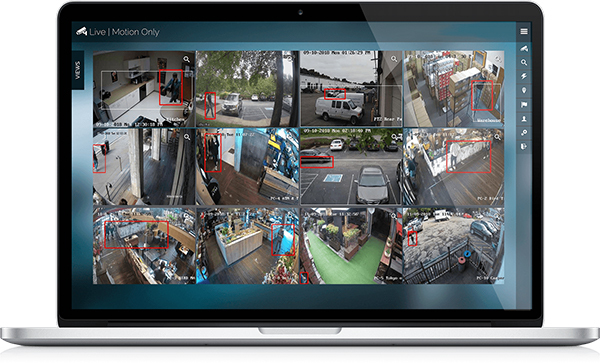 Tyco’s Smartvue S19 delivers secure and cost-effective cloud surveillance solutions to retail establishments, convenience stores, franchises, healthcare facilities, K-12 education buildings and smart cities, providing support for local privacy requirements and regulations across 140 countries. S19 integrates world-class cybersecurity and data privacy into a cloud solution that is simple to install, easy to manage and offers end-to-end security. Encrypted video and communication are secure from the camera, through transmission, to the cloud and when stored. "Smartvue has been a trusted cloud services provider for 20 years, offering centrally, scalable video surveillance that spans from one to dozens of sites," says Martin Renkis, CEO of Smartvue Cloud Video Surveillance at Johnson Controls. "Today we are excited to introduce our next generation of cloud platform. S19 uniquely provides broad support for cloud video services from thousands of cameras and hundreds of different devices in one central web or mobile interface." Smartvue S19 extends features to include integrated support for new Camera 2 Cloud cameras with no additional hardware required. Other features include Hypervue search to view 24 hours of video in 60 seconds, motion clip recording options to optimize bandwidth, MotionMonitor for easier live monitoring of multiple locations, more powerful API options, and brand-new themes for an even easier-to-use web interface. S19 works on any smartphone, tablet or computer using a web browser or native mobile apps, all without the security risks of web video player plug-ins. For more information about Tyco’s Smartvue video surveillance solutions, visit https://smartvue.live/introducing-s19.